You can easily see why Prague is so romantic; the Baroque church bells, amazing architecture, and the retro glamour it oozes are something else. It's the perfect place to get hitched, engaged, or anything even remotely romantic. Check out the Old Town Hall as a venue and see what you think! You can't deny that the pub food in Prague is totally unique to anything you've found in a pub before. One of my favourite pub dishes is raw beef on deep fried toast. Don't knock it until you've tried it! You can also try some amazing cheeses. Apart from strange pub food, there's an opportunity for fine dining too. You could be munching on world class food here in Prague. Michelin star restaurants are found here, so if you've ever wanted to dine at one, now is the time. Many people including myself who visit Prague agree that the beer is the best in the world. You might disagree, but I bet you'll love it! Gambrinus is a popular beer, as is Kozel's Medium. Try them both and see what you think! 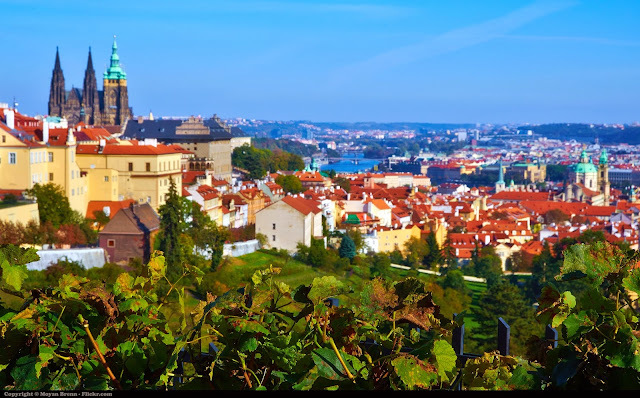 There are lots of places to enjoy the amazing views in Prague. How about Letna Park? This place gives you a superb view of the city. The Petrin Watchtower is also a must see! Although Prague may seem like a place with a lot going on, there are plenty of places to relax too. The Franciscan Garden is a lovely place where you can go to chill. Take a book with you if you like. There are benches, trees, rose bushes, and other things to give you a sense of well being. Prague hotels with Venere are also usually relaxing places to head to after a long day. This wall was once an ordinary wall, until people started graffiting on it in the Communist era. With many inspiring quotes and even a portrait of his face, this wall has been labelled the John Lennon Wall. The Communist police did try to clean it once or twice, but people continue to paint messages of love at night time. The nightlife here is very lively, so if you love jazz music, clubs, and pubs, you'll love it too! No matter what you're looking for you'll find it here. Jewellery, designer clothes, antiques, and more. You can't go anywhere in Prague without hearing music. The musicians are so talented, and Prague really value their music! Do you love Prague as much as I do? Leave a comment to let me know why!